A 1940s little "cottage" for a single, couple or starter family, this two-bedroom at 375 N Sunnyslope is located in the Daisy Village neighborhood, an area that is touted as very desirable by the listing. Who's been? Listed at $529,000, this 1,446 square foot, two-bedroom, two-bath home "has a brick fireplace, hardwood floors, built-ins, separate office/den, central air, breakfast bar, and walk-in closet." Actually, that big closet could also be the baby's room or a decent storage closet. 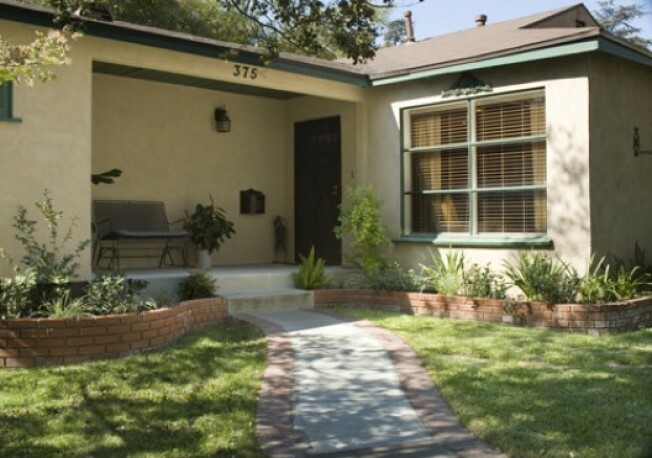 The home is also close to schools, parks, shopping, and transportation. Additionally, it's on a 10,700 square foot lot. According to a June Redfin post, prices were selling for about $388 a square foot in the Daisy Village neighborhood. Meanwhile, Daisy Village is served by Metro Local lines 268 and 487; Pasadena ARTS routes 31, 40, and 60; Foothill Transit Route 187; and Montebello Bus Lines route 20, according to Wikipedia.